Corporate governance is, in essence, the way power is exercised over corporate entities. Governance covers the activities of the Board of Directors and its relationships with the shareholders, and with those managing the entity as well as the external auditors, regulators and other legitimate stakeholders. One must however keep in mind that corporate governance is different from management. While the executive management is responsible for running the corporate entity, the governing body ensures that it is running in the right direction and is being run well. Over the last few years, various reports on corporate governance have been written in various jurisdictions, and these include: 1999 OECD Principles of Governance, 2010 EU Greenpaper, 2010 UK Governance Code, and the 2012 EU Action Plan on European Company Law and Corporate Governance. Limited liability companies (private and public)- these are regulated under the Companies Act, Chapter 386 of the Laws of Malta . A private company can have up to 50 shareholders and therefore corporate governance practices are also relevant in such context. Listed companies– these are public entities whose equity securities are admitted to listing on a regulated market. The MFSA is the sole regulator for financial services in Malta and also acts as the Listing Authority in Malta being responsible for the listing process and ongoing supervisory functions of the local capital market. Public Interest Companies are companies whose operations impact a substantial sector of society, as defined under the Corporate Governance Guidelines for Public Interest Companies issued by the MFSA. Investment Companies and Collective Investment Schemes as defined under the Investment Services Act, Chapter 370 of the Laws of Malta. The main source of corporate governance is the Companies Act itself, as it regulates all companies and is the primary source for the division of authority between the Board of Directors on the one hand, and the general meeting of shareholders on the other hand. The Memorandum and Articles of Association of a company is also an important source of corporate governance under Maltese law. The Articles of Association deal with the internal relationship of a company with its members and the relationship between the members themselves, and thus serves as an important supplement to the corporate governance provisions found under the Companies Act. Public companies listed on a regulated market are required to comply with the Listing Rules issued by the MFSA. The Listing Rules require listed entities to comply with a number of obligations including disclosures and notifications to the market, and include specific provisions on shareholders’ rights. Listed companies should also comply with the Code of Principles of Good Corporate Governance forming part of the Listing Rules issued by the MFSA (‘the Code of Good Corporate Governance’). The Code of Good Corporate Governance is a non-binding Code designed to enhance the legal, institutional and regulatory framework for good governance in the Maltese corporate sector. It thus complements the current provisions already in force in the Companies Act, providing a comprehensive corporate governance framework based on the guidelines provided by the Organization for Economic Cooperation and Development. In 2006, the MFSA issued the Corporate Governance Guidelines for Public Interest Companies (‘Corporate Governance Guidelines’) targeted at companies having an impact on the public in general. The Corporate Governance Guidelines are non-binding in nature. Public interest companies should highlight their adherence to such corporate governance principles in their annual reports. Furthermore, the MFSA issued a Corporate Governance Manual for Directors of Investment Companies and Collective Investment Schemes (‘Corporate Governance Manual’), the purpose of which is to provide general guidance to a director of an investment company or a collective investment scheme on how to implement good corporate governance practice. The guidance set out in the Corporate Governance Manual is not exhaustive and directors are encouraged to develop their own corporate governance practices to fit the specific investment company or fund. What is the ‘comply or explain’ approach? The corporate governance framework in the European Union is a combination of legislation and ‘soft law’ (i.e. recommendations and corporate governance codes). Corporate governance codes provide essential recommendations for the management and supervision of listed companies and standards for good and responsible governance. While corporate governance codes are adopted at national level, the EU legislation on company reporting promotes their application by requiring that listed companies refer in their corporate governance statement to a code and that they report on its application on a ‘comply or explain’ basis. This means that a company choosing to depart from a corporate governance code has to explain which parts of the corporate governance code it has departed from and why it has done so. Therefore, the ‘comply or explain’ approach provides companies with the necessary flexibility to adapt their corporate governance to their specific situation. This approach only works if companies that depart from these codes provide sufficient explanations as to why they depart from them. The Code of Good Corporate Governance in Malta adopts this ‘comply or explain’ approach by encouraging a listed company to ‘comply’ with its provisions and thereby establish parameters for the Board of Directors and management to pursue objectives that are in the interests of the company and its shareholders, or ‘explain’ to shareholders why it has chosen not to so comply. A company acts through two principal organs: the general meeting of shareholders and the Board of Directors. Under Maltese law, the general principle is that the Board of Directors is vested with all the powers of the company that are not reserved to the general meeting under the Companies Act or the Memorandum or Articles of Association of the company. Therefore, in order to determine the division of powers between the two organs of the company, a review of the particular company’s Memorandum and Articles of Association is important, in addition to an assessment of the provisions of the Companies Act. Shareholders of a company exercise their powers at a general meeting of shareholders where they are called to vote on matters requiring their consent. 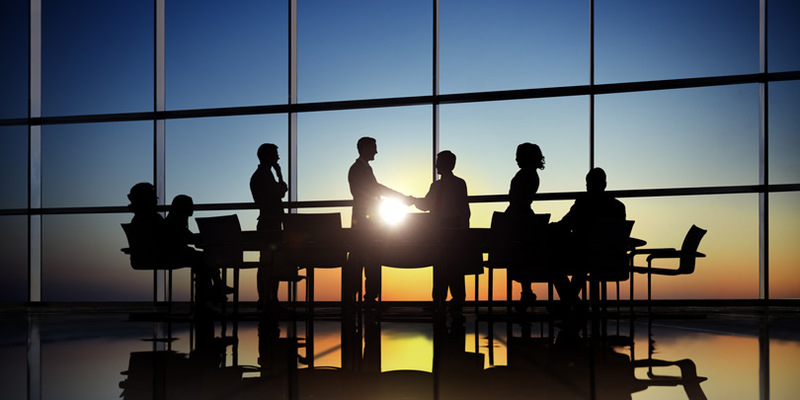 The Corporate Governance Guidelines provide that shareholders are required to appreciate the significance of participation in the general meetings of the company and particularly in the election of directors. Shareholders are expected to continue to hold directors to account for their actions, their stewardship of the company’s assets and the performance of the company. Under the Listing Rules, listed entities are subject to specific requirements concerning the calling of general meetings including requirements concerning contents of notice, minimum notice period, and publication of information ahead of the general meeting. In addition, a shareholder or shareholders of a listed company holding not less than five per cent of the voting issued share capital of the company may request the company to include items on the agenda of the general meeting provided certain conditions are met. The duties of directors find their source in the Companies Act, and the Code of Good Corporate Governance, the Corporate Governance Manual and the Corporate Governance Guidelines all include provisions which reflect the statutory duties of directors. These director duties include duties of loyalty, and duties of care and skill. The duty of loyalty covers the duties to act honestly and in good faith in the best interests of the company, not to make secret profits, to exercise powers for the proper purposes, and to avoid conflict of interests. The duties of care and skill establish both an objective and subjective test against which the competence of a director is measured. The Code of Corporate Governance provides that the Board has the first-level responsibility of executing four basic roles of corporate governance namely; accountability, monitoring, strategy formulation and policy development. It is important to note that directors are personally liable for breaches of duty, and there is no distinction between executive and non-executive directors under the Companies Act. Therefore, as long as there are no specific provisions which limit the powers of a director, a director is to be considered executive, and is jointly and severally responsible for any breach of duty together with the other directors. The general rule under Maltese law is that the directors owe their duties to the company and not to the individual shareholders. The Maltese courts have broadly acknowledged an exception to the proper plaintiff principle in the form of a derivative action; an action brought by a shareholder in respect of a wrong done to the company where the directors, or the majority shareholders who control the composition of the Board, fail to take action to institute the necessary legal proceedings to remedy the wrong suffered by the company. The benefit of the action would accrue not to the benefit of the shareholder instituting the action but to the company. The popularity of the derivative action has decreased as a result of the introduction of the unfair prejudice remedy now available to shareholders under the Companies Act, which has afforded shareholders more legal certainty than the former remedy. This action allows a shareholder who complains that the affairs of the company have been, or are being, or are likely to be, conducted in a manner that is oppressive, unfairly discriminatory against, or unfairly prejudicial, in relation to a shareholder or shareholders, or in a manner that is contrary to the interests of the members as a whole, to apply to the court to make an order as the court thinks fit. The law does not specify who the action may be brought against, however in practice the persons responsible for the conduct complained of would vary from the majority shareholder, to the managing director, other controlling directors and liquidators. Every listed Company should be headed by an effective Board, which should lead and control the company. There should be a clear division of responsibilities at the head of the Company between the running of the Board and the executive responsibility for the running of the company`s business. No one individual or small group of individuals should have unfettered powers of decision. The Board should not be so large as to be unwieldy. The Board should be of sufficient size that the balance of skills and experience is appropriate for the requirements of the business and that changes to the Board’s composition can be managed without undue disruption. The Board should be composed of executive and non-executive Directors, including independent non-executives. The Board has the first level responsibility of executing the four basic roles of corporate governance namely; accountability, monitoring, strategy formulation and policy development. The Board should meet regularly to discharge its duties effectively. Board members should be given ample opportunity during meetings to discuss issues set on the Board agenda and convey their opinions. The Board should: a) appoint the Chief Executive Officer; b) actively participate in the appointment of senior management; c) ensure that there is adequate training in the Company for Directors, management and employees; d) establish a succession plan for senior management; and e) ensure that all Directors are supplied with precise, timely and clear information so that they can effectively contribute to Board decisions. The Board should undertake an annual evaluation of its own performance and that of its committees. The Board should establish a remuneration policy for Directors and senior executives. It should also set up formal and transparent procedures for developing such a policy and for establishing the remuneration packages of individual Directors. There should be a formal and transparent procedure for the appointment of new directors to the Board. The procedure shall ensure adequate information on the personal and professional qualifications of the candidates. The Board shall serve the legitimate interests of the company, account to shareholders fully and ensure that the Company communicates with the market effectively. The Board should as far as possible be prepared to enter into a satisfactory dialogue with institutional shareholders and market intermediaries based on the mutual understanding of objectives. The Board shall use the general meeting to communicate with shareholders. The term ‘institutional shareholders’ should be interpreted widely and includes any person who by profession, whether directly or indirectly, takes a position in investments as principal, or Manager or holds funds for or on behalf of others and includes Custodians, banks, financial institutions, fund managers, stockbrokers, investment managers and others. Institutional shareholders have a responsibility to make considered use of their votes. When evaluating the Company’s governance arrangements, particularly those relating to Board structure and composition, institutional shareholders should give due weight to all relevant factors drawn to their attention. Directors` primary responsibility is always to act in the interest of the Company and its shareholders as a whole irrespective of who appointed them to the Board. Directors should seek to adhere to accepted principles of corporate social responsibility in their day-to-day management practices of their company. (i) Corporate Social Responsibility is the continuing commitment by business entities to behave ethically and contribute to economic development while improving the quality of life of the work force and their families as well as of the local community and society at large. Being socially responsible means not only fulfilling legal expectations but also going beyond compliance and investing into human capital, the environment and the relations with stakeholders. (ii) It is encouraged that Listed Companies take up initiatives aimed at augmenting investment in human capital, health and safety issues, and managing change, while adopting environmentally responsible practices related mainly to the management of natural resources used in the production process. One must point out that EU corporate governance rules only apply to companies listed on a stock exchange.